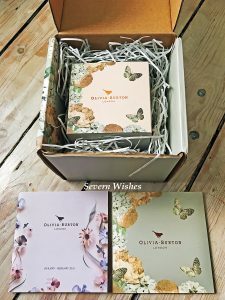 When I turned 30 a couple of weeks ago, I created a Wish-list post about what I hoped to get for my birthday. 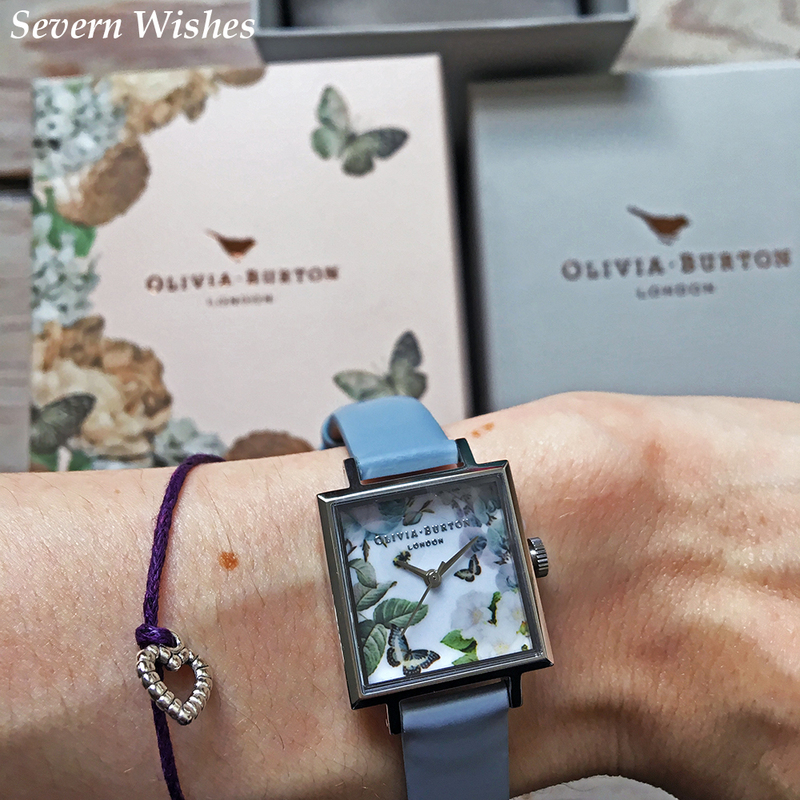 I feel so lucky that I have a very kind husband who knew how much I had wanted a beautiful Olivia Burton watch, and he bought me this one! I have a petite frame which includes having small hands and wrists. Most watches that I try on in shops are too big for me, they overhang either side of my arm and often rotate while on. This makes them uncomfortable to wear and I usually don’t bother putting them on unless it’s for a special occasion. 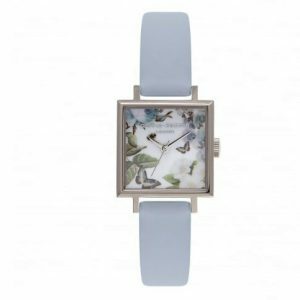 But now I’ve got this gorgeous and detailed watch, which is not only highly appropriate to my nature loving personality but it also has a specifically smaller dial size at 23mm. Here are some more detailed images of my watch and what I received with it. 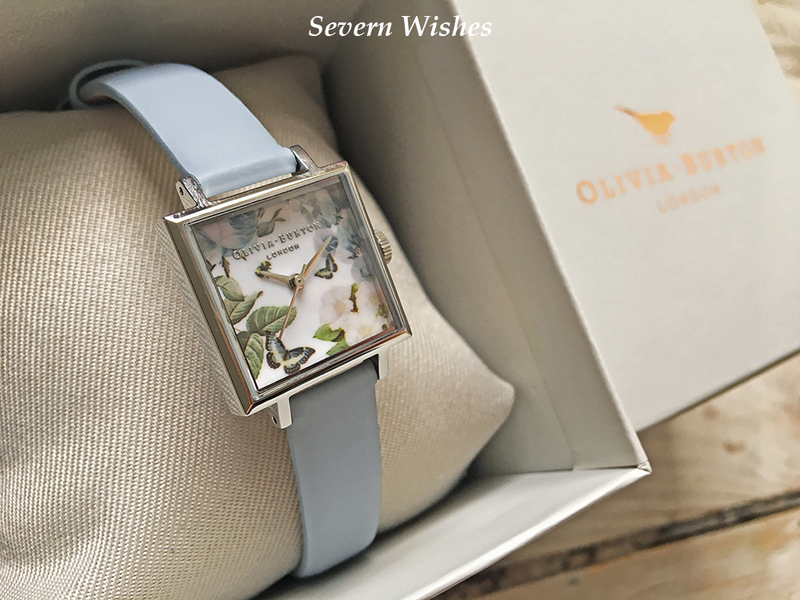 This watch is beautifully presented both in it’s delivery boxes and in it’s own silver plated case. The individual design is stunning and extremely detailed. If you look closely at the detail you wouldn’t expect it to be so intricate because of the overall size, it’s created with a very high standard. 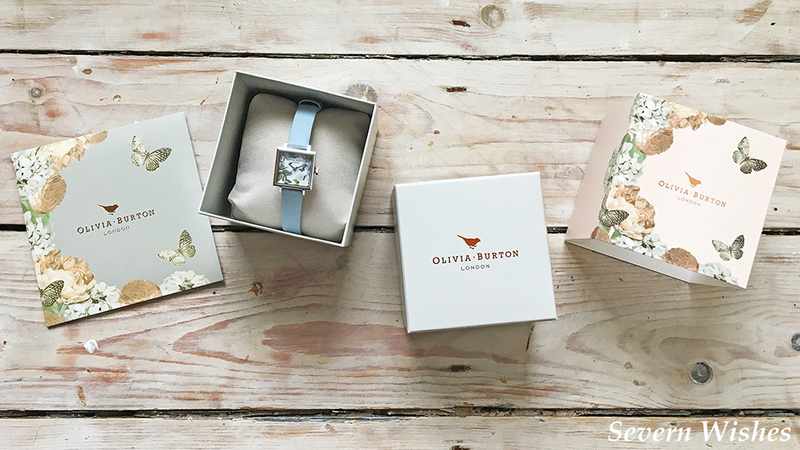 In fact all the Olivia Burton watches are made to a high quality across the range, all of them with varying styles and straps to suit all customers desires. There are some straps that have leather, others are velvet, or mesh and even those that are mixed metal bracelets. With a varying dial size that ranges from 22.5mm to 32mm, and several shapes too including square, rectangle and circle. I was impressed with how the watch came in a box within a box, it was a nice touch to have the whole piece inside it’s own personal box. It means that when I’m not wearing it, it can stay clean and safe inside. The delivery of the watch took several days, which did surprise us, however it was after the snow was clearing so we wondered if that were the reason for the delay. It didn’t arrive until my birthday date, despite my husband ordering it 9 days prior. Overall I am very happy with the gift and that is why I wanted to review it in such detail. Please check out my photography of the watch so you can see the minute details in the dial and the quality with which it has been made and distributed. 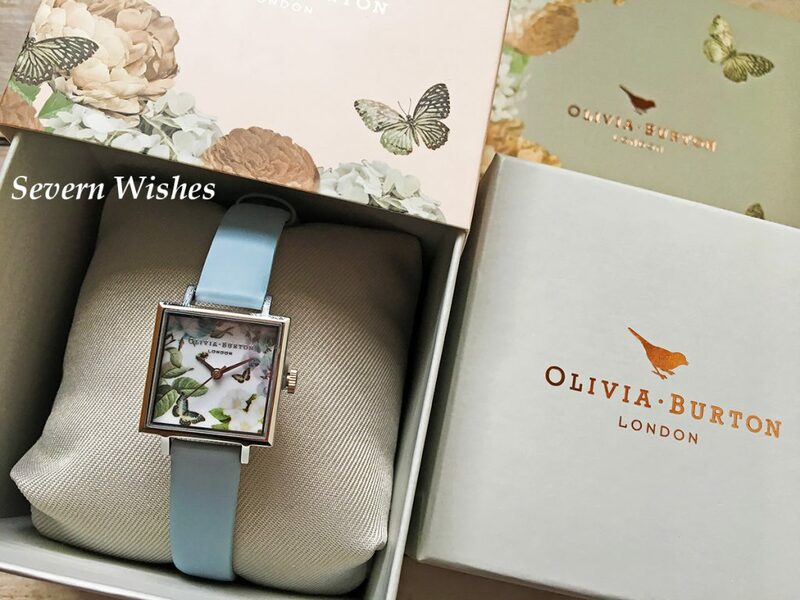 I would recommend the Olivia Burton website and it’s products, and I would consider more in the future. 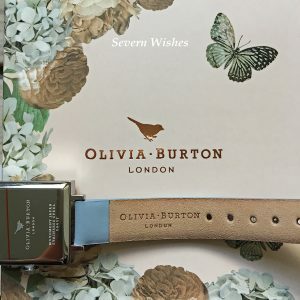 I hope you have enjoyed reading this review post, I can honestly recommend these watches if you want a high quality gift for someone, or you want to treat yourself to a high standard piece that you can treasure. It was easy to photograph being so pretty! And with a good warranty available on each watch that is sold, and a huge range of choice, they make ideal presents for both yourself and for others. If I can answer any questions about the watch that you might have then please leave me a comment. 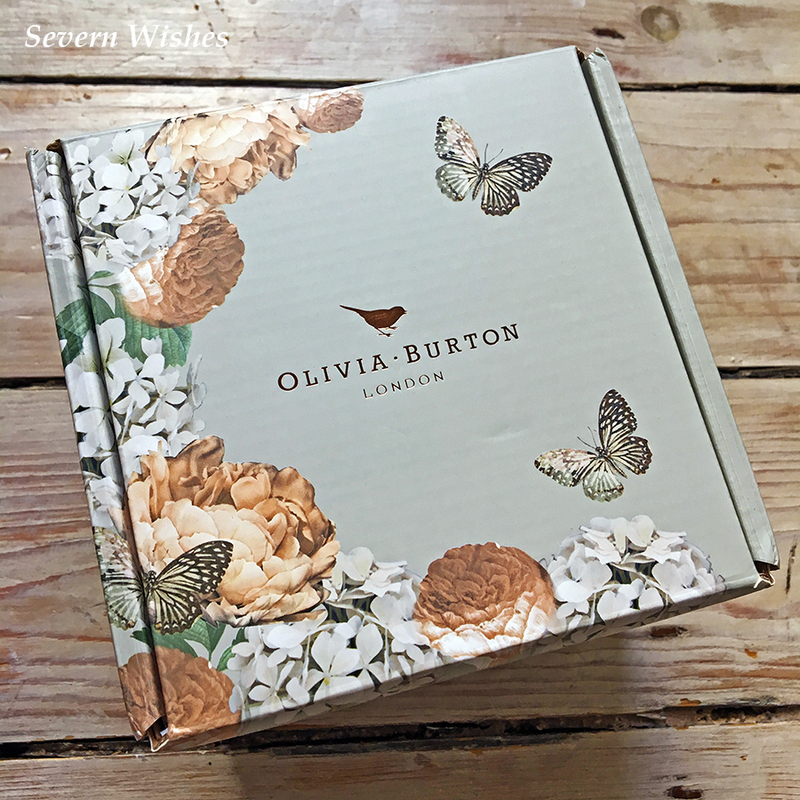 This entry was posted in Accessories, Gifts, Jewellery, Lifestyle, Olivia Burton Watches, Photography, Reviews, Watches by Sabrina. Bookmark the permalink.